Set out policies to maintain the primary retail function of the centres. According to the document – available at http://www.birmingham.gov.uk/spdlocalcentres – Stirchley’s primary retail core stretches from Twyning Road in the north to Elm Tree Road/Mayfield Road in the south, taking in the Tesco site but not the Arvin Meritor (ASDA) site. 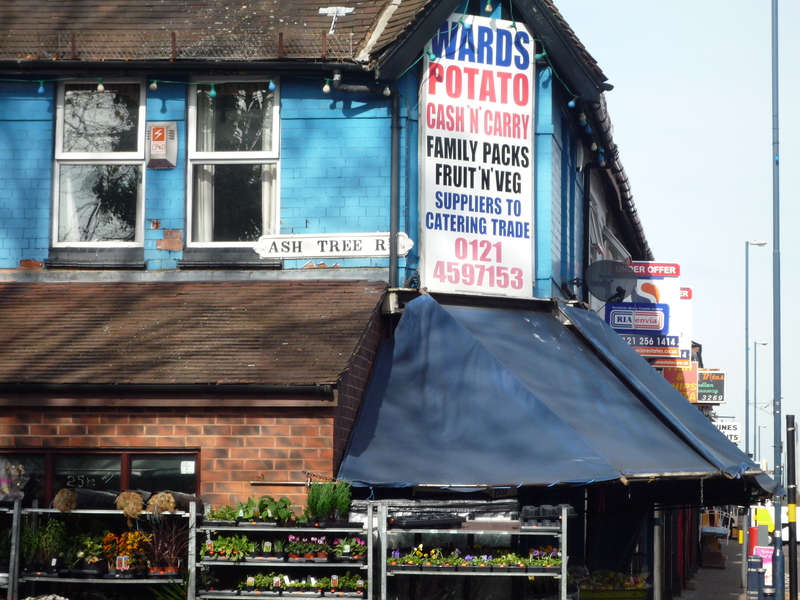 This means that some of Stirchley’s best known and established shops now fall outside the main shopping area – these include Wards the greengrocers, Ash Tree Pharmacy, Stirchley Wines and Spirits, Pandora’s Box and newcomers the Birmingham Bike Foundry. During the consultation period, Tesco objected to this proposed boundary and requested that the primary retail core should terminate north of Hazelwell Road, and although the City Council did not yield to Tesco’s demands on this occasion, their final definition of Stirchley’s retail core does not appear to reflect the High St as experienced by local people, and this document may even undermine the sustainability of some of the independent shops that give Stirchley its unique character and distinctive charm. Build friends group – could Farm Foods work with the Park? Well, What a fantastic day it was, bit of a rough start, wrong key to the gate, were all there waiting at 7.30am, to get in, but, it wasn’t long until we found one. The Army of Stirchley volunteers sprang into action, by 11am, it was beginning to look like a fun day was going to take place, the caterers turned up early followed by charity stalls, community groups entertainers and trade stands, fairground rides and inflatables, gazebos went up, ducks got primed ready for a day of swimming, councillors put their waders on (there is a rumour that councillor Sealy will wear his in the council chamber) Don’t know who started that. Well, 12noon came, and it was a very quiet start at first, but boy did that change, by 12.45, things were really buzzing, a rough estimate was that over 1300 people were in the park and the best thing was, every face had a smile on it, are you doing it again next year, we were asked? Well I think so, just look out for the posters etc. next year. I have one or two thank you’s to make, it’s a bit like an Oscar list, but please take the time to read it, and if you won one of the fabulous prizes we had, say thank you to the business that provided it. I would like to thank the following for donating the prizes. Wards, Stirchley wines and spirits, Oakton estates, midland Vac, Travis Perkins, St Andrews Healthcare, National Express west Midlands, Tesco Five Ways, Wickes, Magnet, Fitness First, music Exchange, Midland computer exchange, Empire Garage, Hearts and flowers, Joshuashaun, Akash Tandoori, printigo, Dutch embassy, venture Bikes, Sasha hair design, Selco, Jades hairdresser, Elliegance, ADI (Kings Norton) mirror image, Stirchley Newsagent, Gents, ash tree Pharmacy, Printigo, Powder Coatings, Asda, Akrams, Empire Cinema (Rubery) p.walker Ariel’s (Kidderminster) Fallons, Stirchley Neighbourhood Forum, Headmasters (Cotteridge) . I would also like to thank, Signarama (Cotteridge) for providing us with three five foot x two foot full colour banners, so that we can advertise the event, to Roxie and Kerry from Stirchley Happenings for designing the flyers and negotiating the cooperation with the T.A.S.C.O.S social club, to pay half the printing bill for their advert on the flip side, for getting them printed at reasonable cost and delivered to me, dose everyone agree, that the art work is superb, also, I would like to thank the army of Stirchley volunteers who delivered them to your door, (not as easy as you think) also, thank you to Webb’s tool hire who has provided the hi vis vests we need for in the park and to printigo, who printed the forum logo on the back. Last but not least, in no particular order. Ron, Brian, Chris ,Peter , Jon, Brenda and Margaret my long suffering wife, who gave up their Saturday to help put the Fun Day together not forgetting Paula, who had a key to the gate padlock, when the wrong one was supplied (we got her out of bed). Also, David Jee, Judith Jones, Syria (hope I have spelt your name correctly, who helped during the day. And to some of the artists who gave their time to entertain us in the arena, like Elvis and Brian withey. Also to Mick Jones from stirchley.co.uk, who allows us a lot of free space on his website. We’ve booked a stall for the Fun Day on Saturday, 12 – 4 pm in Hazelwell Park, and we’re looking for volunteers to come along and help out on the day. 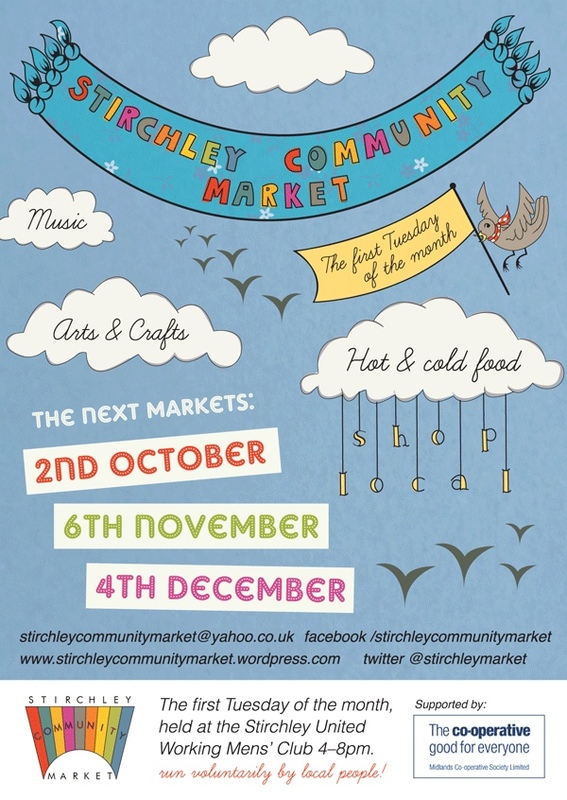 We’re using the event to promote the network, sign up new members and canvas opinions about Stirchley’s green and open spaces, which will inform our first project. 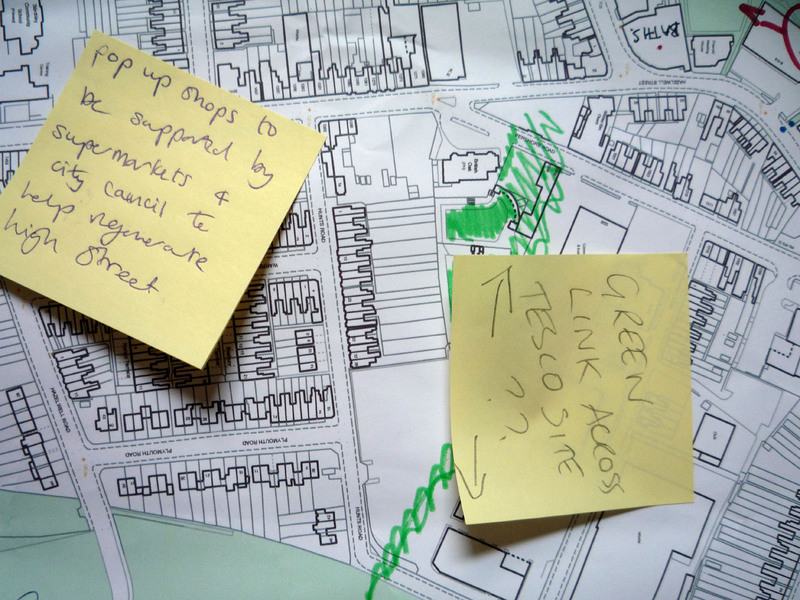 We’ve got a map of Stirchley and we’ll be asking people to colour in the green spaces and add any comments about these spaces, or suggestions as to how they might be improved or added to. We have two volunteers to set up the stall and two/three volunteers to cover it for part of the afternoon but we could really do with a few more people. If you are able to spare half an hour please email the network on stirchleyurban@gmail.com and we can organise a timetable. The next SURN meeting is tonight, 8 pm at the TASCOS Club on Hazelwell Lane. 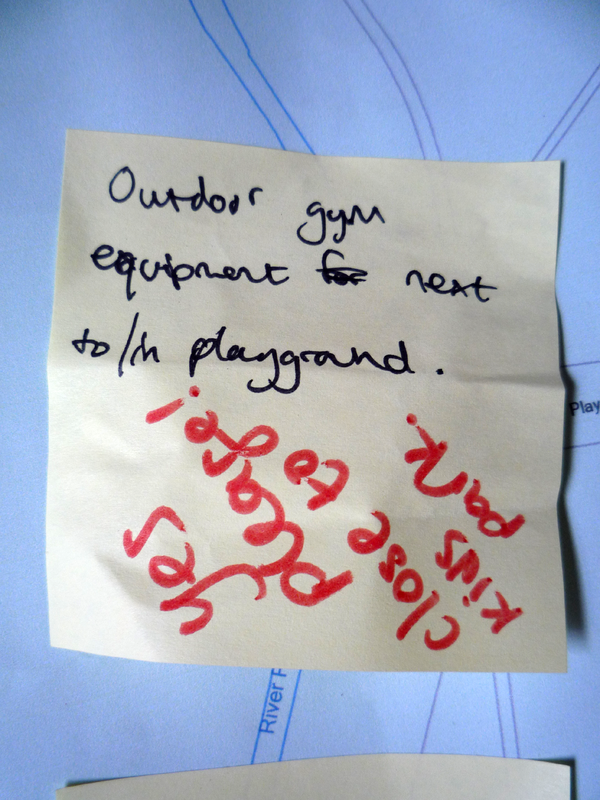 We’ll be choosing our first project which will focus on Stirchley’s green and open spaces.